The course will be targeted at undergraduate students on their early stage of education. The major goals and objectives are to provide third–year undergraduate students with knowledge and understanding of nanoelectronics as an important interdisciplinary subject. 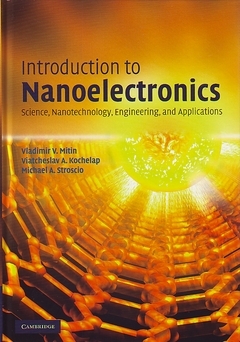 Through the examples, exercises, and educational Java applets the course will cover electrical and optical properties of materials and nanostructures, chemically-directed assembly of nanostructures, biomolecules, traditional and nontraditional methods of nanolithography, heterostructures, and nanotubes. Students will learn about resonant-tunneling diodes, transistors, single-electron transfer devices, nano-electromechanical systems, etc.